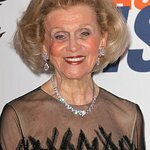 Barbara Davis will host the 2016 Carousel Of Hope Ball in October. This year marks the 30th Carousel Ball, where guests will enjoy cocktails, silent and live auctions, dinner, exciting entertainment, and musical performances. The 2016 ball will be a “Celebration of Hollywood,” and its strength, power, and talent. Since its inception in 1978, the iconic event has been a Hollywood favorite, uniting entertainment industry leaders from all areas for a night dedicated to raising awareness and, ultimately, finding a cure for diabetes. Diabetes, which afflicts over 30 million people in the United States alone, is rapidly on the rise. It is estimated that one in three babies born today will have diabetes in their lifetime and each year, approximately 50,000 Americans are diagnosed with type 1 diabetes. Of those, 25,000 are children. The Carousel of Hope Balls have raised more than $100 million to date, with proceeds benefitting the Children’s Diabetes Foundation and the Barbara Davis Center for Childhood Diabetes (BDC). Funds are raised through sponsorships, a live and silent auction, and contributions. Rated #1 Benefit in Southern California by Bizbash for multiple years, this star-studded evening is not to be missed. Attendees to include Inspirational Lifetime Achievement Award Recipient Sir Sidney Poitier, Brass Ring Award Recipients Jane Fonda, David Foster, and Sherry Lansing, Presenters Anjelica Huston, Quincy Jones, Carole Bayer Sager and Denzel Washington, Master of Ceremonies Jay Leno, Auctioneer Sharon Stone, Producer George Schlatter, Music Chairmen Clive Davis and Quincy Jones, and additional guests including Rosanna Arquette, Ed Begley Jr., Kristin Cavallari, Morgan Fairchild, Peter Fonda, Vivica A. Fox, Morgan Freeman, Kathy Griffin, George Hamilton and Alana Stewart, Robert Herjavec and Kym Johnson, Paris Hilton, Larry Jackson, Samuel L. Jackson, Elizabeth Jagger, Magic Johnson, Donna Karan, Regina King, Sugar Ray Leonard, Rob Lowe, Les Moonves and Julie Chen, Rupert Murdoch and Jerry Hall, Brett Ratner, Don Rickles, Judge Judy Sheindlin, Russell Simmons, Stacey Snider, Suzanne Somers, Diane Warren, Raquel Welch, James Woods and more. The 2016 Carousel of Hope Ball is generously sponsored by Activision Blizzard, American Airlines, Tina & Rick Caruso, Robert Day, Dexcom, St. Regis Hotels & Resorts, Vista Equity Partners, The Coca-Cola Company, and The Walt Disney Company. Additional sponsors include the Kroenke Family & Los Angeles Rams Foundation, GUESS Foundation, Parx Casino, CBS, Viacom & Paramount Pictures, 20th Century Fox, 21st Century Fox, HBO and The Beverly Hilton.